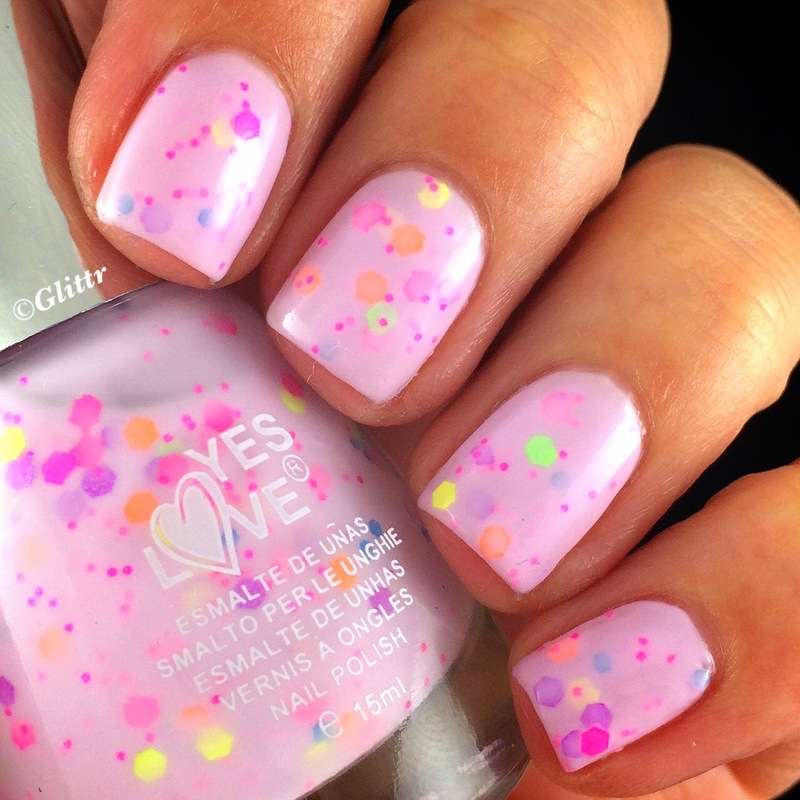 a few weeks back I bought some YesLove polishes on eBay, I had seen them around on Instagram and thought they looked pretty cool! Also they were really cheap, so that was a plus! I bought six polishes for €12, which (obviously) equals to €2 a bottle. That’s stunningly cheap in my book! So I thought I’d put them to the test and see if the quality was ok too! 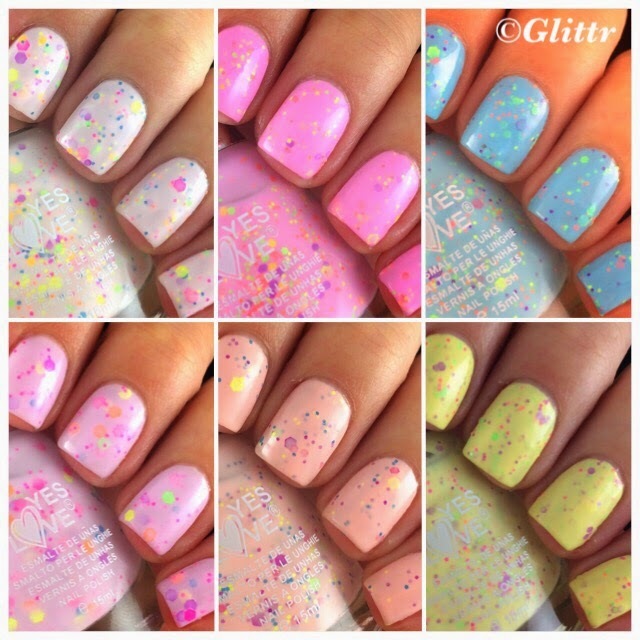 The ones I got are called Neon Speckled polishes (G11 series) and are pastels with neon glitters in them. They look pretty cool, even though you have to do a bit of glitter fishing, although not as much as I have experienced with other polishes. Some just worked a bit better than others, but all in all application was ok.
YesLove also has normal polishes without any glitter in them, but I especially wanted to try out these. I tried researching them a bit but couldn’t find a lot of info about them 😦 Also I haven’t seen them in shops around me, so I have no idea where you could buy them apart from the internet! I’m not a big fan of the yellow (G11-6) but that’s just because it’s not my typical go-to colour. I really like all the other ones though and I think they are quite unique and fun! If you don’t want to spend a lot of time on nail art or you are a bit uninspired, these make for instantly cute nails! 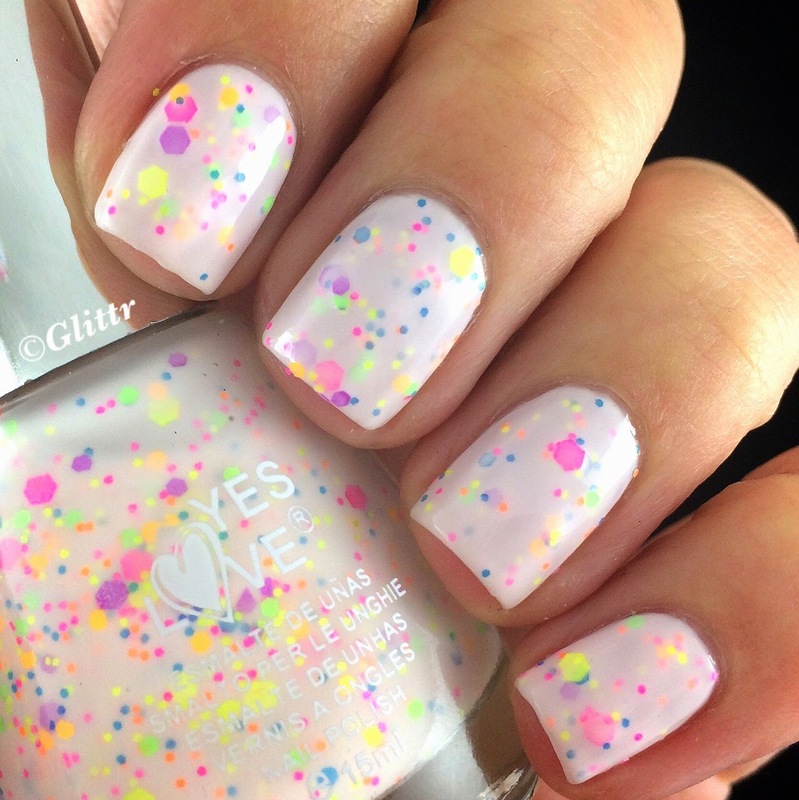 Let me know what you think about these YesLove Neon Speckled polishes and if you have ever tried them, also I’d love to hear if you’ve tried other YesLove polishes and how you liked them! Ohhhh, I love these very much! 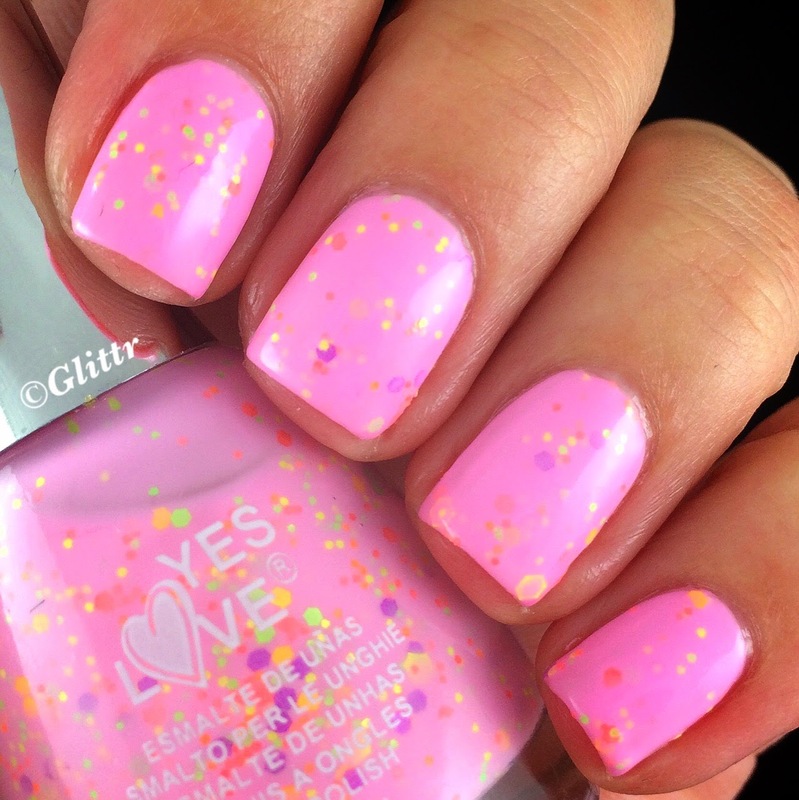 I have seen these YesLove polishes come by but I never have seen one in real life. I am very tempted now to get the set on Ebay as well…..! I found them in a China Shop ( I live in Italy ). I tried the white polis g11-5. I liked it, but it was difficult to remove. 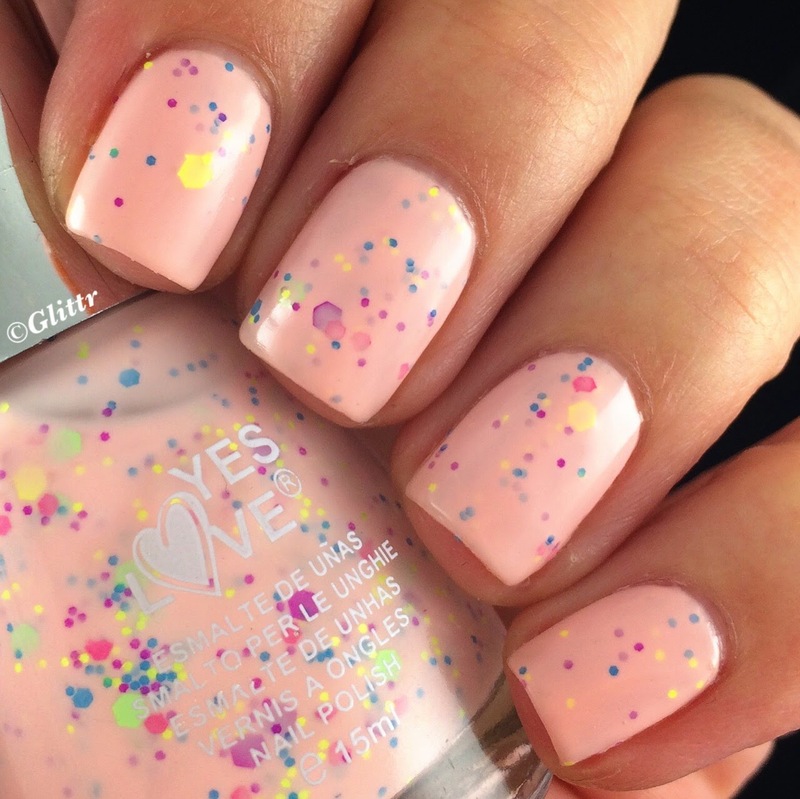 I've also tried a Yes Love polish without glitter and I liked it so much.